Personal or individual budgets for purchasing health and social care are intended to offer more choice, control and flexibility to service users when compared with agency-directed care. They are becoming an increasingly common feature in high-income countries for purchasing personal care that often lies on the border line between health and social care. In England, they have recently been introduced explicitly for the purchasing of health care. There are some key motivations behind their introduction: they are expected to give individuals more choice about care they receive; to expand options for care; to improve outcomes; and to reduce expenditure. 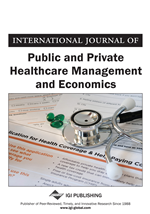 This paper draws from a review of the international evidence on personal budgets which identified: descriptive detail on personal budget schemes in 11 OECD countries to examine their key features and implementation processes; empirical evidence on the experiences of, and outcomes for, people using these schemes, and; empirical evidence regarding the impact of the schemes on the healthcare system, particularly with regards to resources. The paper examines the motivating factors behind personal budget schemes in light of this evidence. It concludes that there is little in the evidence to suggest that international governments' expectations for personal budget programmes are well-founded. The assumptions that they improve choice, and that more choice will in turn lead to greater autonomy and then improved outcomes at lower cost, are actually far more complex and generally unsupported by evidence. Most health and social care services are provided to service users as relatively passive recipients. Professionals decide which services are most appropriate for meeting the service user’s needs. Local providers might hold a contract for the delivery of that service, and the service user will get little or no say in how, where and when that service is provided. Personal or individual budgets are an alternative way of purchasing elements of health and social care services. They bring money closer to the individual service user (either as a direct payment to be spent by the individual, or as a ‘notional’ budget to be managed by others), and by-pass the commissioning organisations that have historically spent the funds on agency-directed care. They are one of a number of mechanisms that can be used to help ‘personalise’ health and social care services and empower service users by making them more active consumers of care. By specifying the budget for an individual’s care, and allowing that individual to decide how it should be spent, the personal budget (PB) theoretically offers more choice, control and flexibility to the budget holder. This leads to what is sometimes called ‘self-directed’ or ‘consumer-directed’ care. PBs are rapidly becoming international phenomena, with many high-income countries experimenting with some form of individualised funding particularly for long-term care (Dickinson & Glasby, 2010) which often lies in the ‘grey zone’ between health and social care. This extension of the choice agenda is consonant with policies aimed at increasing competition within healthcare systems based on a belief that competition will drive down spiralling healthcare costs. Such policies are highly dependent on the ideologies of governments in power (Toth, 2010). Reflecting on waves of healthcare reforms in recent decades in six OECD countries, Toth (2010) notes that choice and competition initiatives were instituted by conservative governments in the early 1990s. In some countries (less so in England, where New Labour post-2006 supported the choice agenda), these were swept away by the subsequent left-of-centre governments’ counter-reforms before their effectiveness could be ascertained. The return to power of conservative administrations in many of these countries in the 2000s has seen a return to “fashion” of the patient choice agenda. PBs fit squarely within this agenda implying that patients are consumers of healthcare, and as consumers are best placed to make choices about that care (Fotaki, 2007). The notion that healthcare is consumed in the marketplace in the same way as other goods and services has been widely critiqued (Greener, 2009; Lupton, 1997). Choice in healthcare requires patients to be informed, undertake ‘work’ involved in choice-making, take responsibility for their care, and shift relationships with clinicians. PB programmes vary enormously, but all converge on the principle of improving choice and control for service users by involving them in the planning and purchasing of care. This paper reviews published work on PBs from 11 OECD countries. It focuses on programmes that can be used to purchase ‘health’ services (although distinctions between health and social care are far from clear cut, and definitions vary from country to country). It furthers the work of the Health Foundation who, in 2010, published a research scan (Health Foundation, 2010) which provided a brief synopsis of evidence on the impact of PBs on patient-centred care, health outcomes and value-for-money. The evidence available was largely subjective evidence regarding satisfaction and feelings of empowerment. Since that research scan, several government-led programmes have been piloted and evaluated, and the evidence base has been strengthened. To build on the research scan, the objectives of this review were to identify: descriptive detail on PB schemes with a health remit in a range of OECD countries to examine their key features and implementation processes; empirical evidence on the experiences of, and outcomes for, people using these schemes, and; empirical evidence regarding the impact of the schemes on the healthcare system, particularly with regards to resources. It questions whether there is evidence that PBs deliver either definitive outcomes or cost savings. It also examines whether PBs offer choice or an illusion of choice to budget holders. Four common motivating factors behind the introduction of PB programmes in different countries are identified and examined in the light of international literature.